It was a busy Saturday, but a beautiful day here in Northern Wisconsin. 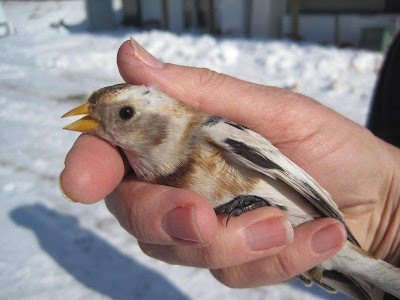 We released our beautiful Snow Bunting that came in with a wing fracture in early January. The beautiful visitor from the north, healed well. He was flying so well in fact that he gave Lance and Abby a work out when they tried to catch him up from the flight aviary for his release. I said he was released but that is not quite accurate. While we were taking photos of him just before the release, he grew impatient and decided to exit from my hand before we were ready with the camera. 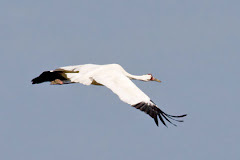 Oh well, the important thing is he is a free bird tonight and will be making the trek back north soon for breeding. The Northern Cardinal in the photo above has done so well. He came in with a dog bite. He has a few serious days in intensive care but turned the corner yesterday and today was so active we tried him in the aviary. He is a little underweight so will remain in an indoor aviary until he gets his weight back to normal range and then will be released. Yea!! We had some great help when volunteers Joe Krumrie and Abby Ruppert both students from UWSP came up for the day. 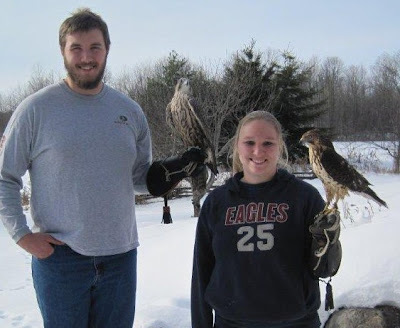 Both are experienced with raptors and helped do some handling and made some jesses for the education birds. Thanks to both Joe and Abby for their time today. 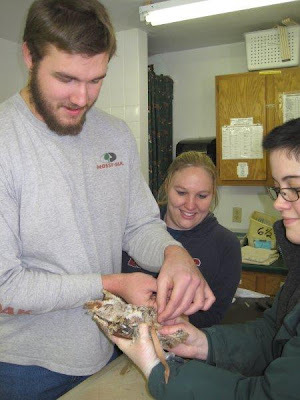 We got a lot of work done and it is always fun to talk to students that are interested in birds. 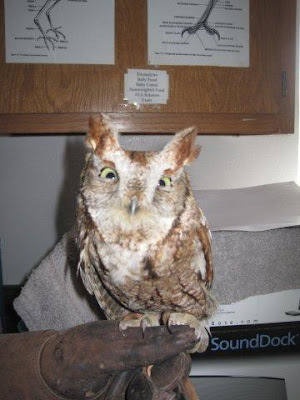 This is the same Screech Owl that was shot a few weeks ago. 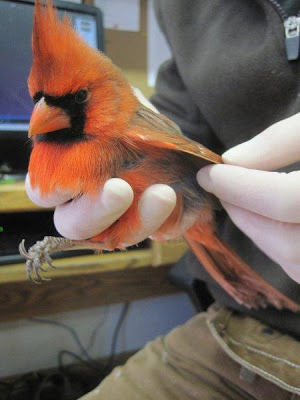 His wing injury was so severe that he will not be able to fly again. He continues to have vision problems. Since he will not be able to be wild again, his next option is be spend his life as an education bird. To find out if he agrees with that opportunity and doesn't mind captivity he has to do through a training phase first. Not all birds are comfortable enough for captive placement, but he did real well today. We admitted an adult Barred Owl. This is an interesting case and one are working to repair. 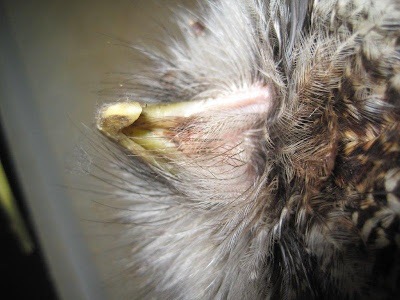 The owls lower mandible is split in two parts. As you an imagine she is unable to eat well on her own and has to be tube fed or fed small strips of meat. We will be trying a new technique to repair the beak tomorrow morning. I will let you know how it goes. 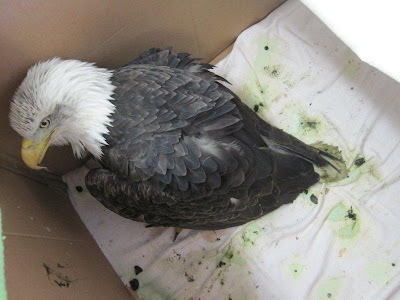 The Bald Eagle with lead poisoning is continue to fight for her life and we are not going to give up on her as long as she is willing to keep trying. She is very sick, but such a beautiful and strong female eagle I remain hopeful until she is no longer. Have a good tomorrow everyone.